Referred to as Jungle Geranium for the round bloom clusters that resemble those of annual geraniums. This plant has dark glossy foliage that looks good even when the long-blooming flowers are not present. 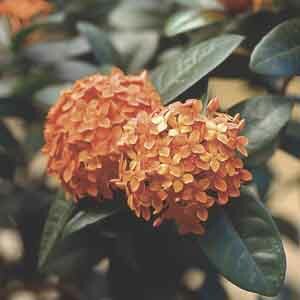 Perfect for brightening summer plantings in beds or containers, it also does well as a houseplant.